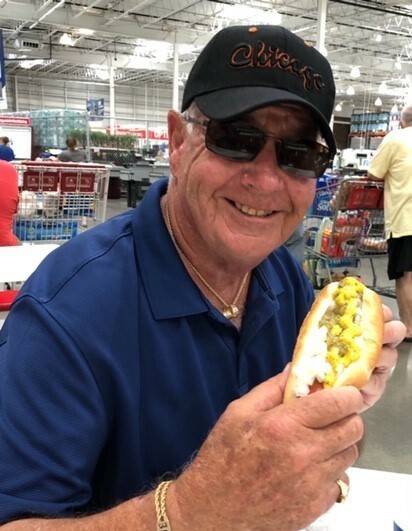 Howard Schnitz, of Northbrook, IL and Scottsdale, AZ, passed away on February 13, 2019. Howie was born in Chicago, IL on February 9, 1941. Howie is survived by his sons Aaron (Lisa), Tom, Bob and Dave; daughters Dale (Daron) and Julie (Derek); sister Barbie (Jack); eight grandchildren; Sha, Kevin, Alexa, Jordan, Toni, Rylee, Evan and Emily, as well as, nieces Courtney and Jennifer (Brad). A memorial service will be held at Paradise Memorial Gardens in Scottsdale, AZ on Sunday, 2/17/2019, at 10:00am. In lieu of flowers, donations can be made to Cancer Wellness of Northbrook, IL, in his and his late wife, Patricia's, memory. He was extremely loved and will be forever missed. "WITHOUT A SHIRT!"